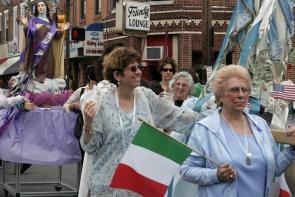 Women carrying statues of saints covered in dollar bills during the 9th Street Italian Market Festival. Woman in front waving Italian flag. Friendly Lounge in background.